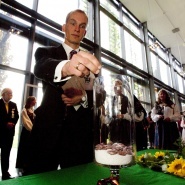 The Norwegian University of Life Sciences (UMB) honours the 61 doctors who were awarded their doctoral degrees during the academic year 2010/2011. The graduation ceremony will be held in the Arabidopsis Auditorium in the Biotechnology Building and is open to everyone. Dress code - semi formal. UMB wishes to thank all doctors for their effort and contribution to UMBs research. 29 out of the 61 doctors will be present at the ceremony. The graduation ceremony is open to everyone wishing to participate. The doctors receive their diplomas and managing director Camilla Røsjø at Nofima Mat will address the students. Rector Hans Fredrik Hoen, Pro-rector of Education Mari Sundli Tveit and Pro-rector of Research Ruth Haug will present the doctoral degree diplomas. 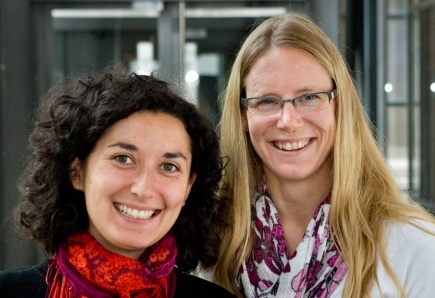 In addition to music, UMBs two Researcher Grand Prix 2011 finalists will show how to present research projects in only 4 minutes! Senior research fellow Hilde Hauge at the Department of Animal and Aquacultural Sciences won her semi-final presenting research on how interaction between youth and horses may improve how youth cope. Senior research fellow and finalist Anne Chapuis at the Department of Mathematical Sciences and Technology will present her project on glacier calving and how glaciers react to climate changes. The folk music trio Kjerringrokk with Eilif Moe on guitar will be playing during the ceremony. This is a symbolic act representing research and sciences and their ability to grow, mature and bear fruits and ultimately new seeds, similarly to the life cycle of plant seeds. The ceremony starts in Arabidopsis auditorium in the Biotechnology Building at 2 p.m. on Friday 23 September and ends approximately at 3.30 p.m., when the doctors and their invited guests proceed to the banquet in the Economy Building. before the procession continue from the Biotechnology Building to the Economy Building. Banquet in the Economy Canteen for doctors and their invited guests.